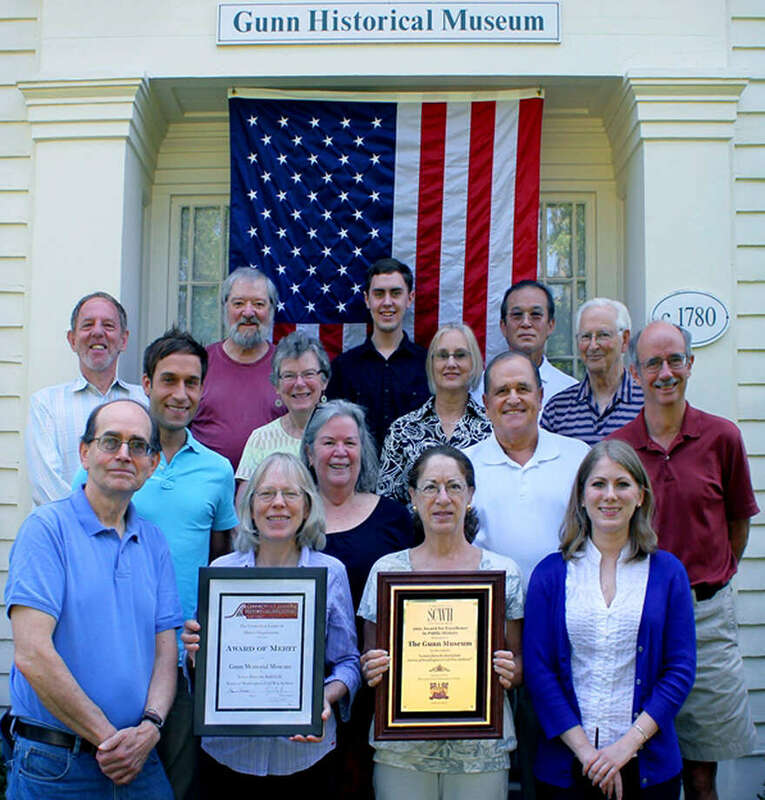 The Gunn Memorial Museum in Washington has been recognized with three awards for its 2011 sesquicentennial commemoration of the Civil War. The public exhibit, "Letters from the Battlefield: Stories of Washington's Civil War Soldiers," was created by museum staff and volunteers to be incorporated into a scholar lecture series, as well as a social studies project with Shepaug Valley Middle School eighth-grade students. A Leadership in History Award from the American Association for State and Local History. The Civil War exhibit highlighted the artistic talents of designer Chris Zaima and Washington artist Keith Templeton, in addition to the creative resources of a strong contingency of others. "We are extremely fortunate to have a solid core of capable and interested people who volunteer their time and talent," said Jean Chapin, Gunn Memorial Library & Museum's executive director. "Our institution achieves at a high level because of the support we receive directly from the members of the community," she added. "These dedicated history buffs, along with curator Stephen Bartkus, are to be commended for their work." New volunteers and student interns are welcome to join the Gunn Museum team. The current exhibit is "Art from the Earth: Early American Stoneware." Admission is free. The museum, located at 5 Wykeham Road, at the intersection of Route 47 and Wykeham Road in Washington, is open Thursdays, Fridays and Saturdays from 10 a.m. to 4 p.m. and Sunds from noon to 4 p.m.
For information about volunteering, call 860-868-7756. For general museum information, visit www.gunnlibrary.org.